Ethel Maude RENTZSCH; born on 5 April 1970 in Hackney, London the daughter of Benjamin and Marie (Edith) Rentzsch. 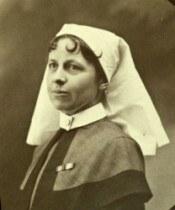 Educated at Notting Hill High School, and trained as a nurse at King’s College Hospital, London, between 1896 and 1899. 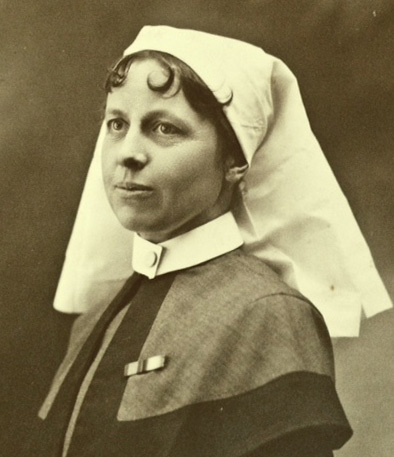 Ethel Rentzsch was appointed as a Staff Nurse to Queen Alexandra’s Imperial Military Nursing Service in May 1905 and promoted Sister in 1909. She had a brother, Sigismund Rentzsch, which suggests the family were descended from the well known nineteenth century watchmaker of the same name. Ethel Rentzsch died in Brighton in 1941.